Pictured are (sitting) Noah Mixon, Lane Horne, Emory Webb; (kneeling) Asa Baldwin, Cade Ledger, Reeves Young, Nikki Remollino; (standing) Mrs. Terri Jones, Virginia Lanier, Dan Williams, Reese Covington, Turner Simmons, Peyton Gilbert. 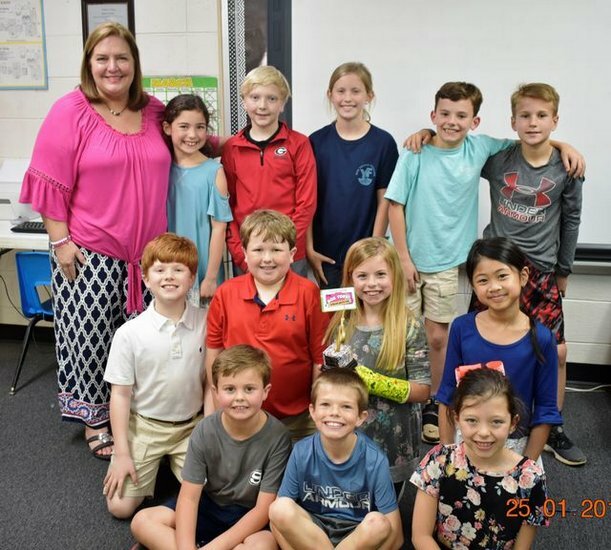 Southland’s 2nd Box Top Contest Class winner was Ms. Terri Jones' 3rd grade class. The students turned in a total of 960 box tops.